MD, UBC 1979, Master of Health Science, UBC 1985, FRCPC Community Medicine (Public Health and Preventive Medicine), UBC 1987. Led and managed public health services as a Medical Health Officer in various capacities, communities and stages of regionalization and integration in BC for 27 years. Retired Dec 31 2010 after 8 years as Chief Medical Health Officer for Fraser Health Region. Research activities and publications were primarily with vaccines and communicable diseases, although devoted much time to advocacy for early childhood development and other social determinants of population health. 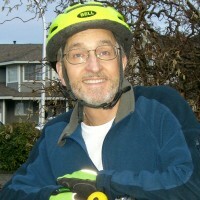 Clinical Professor (now Emeritus) with UBC School of Population and Public Health, involved mostly with resident training. Previously shared supervision of Public Health and Preventive Medicine Residents’ 710 Academic half day.